Consumer laws at federal and state levels exist to protect consumers against many forms of fraud and unfair business practices and to help recover money lost by individual consumers and/or businesses victimized by businesses or entities that violate consumer laws. The Federal Trade Commission estimates that violations of consumer law cost consumers and businesses in the United States $10 Billion a year. Gilman Law LLP’s consumer lawyer team champions the cause to recover money lost by individual consumers and/or businesses victimized by businesses or entities that violate consumer laws. The Federal Trade Commission estimates that violations of consumer law cost consumers and businesses in the United States $10 Billion a year. 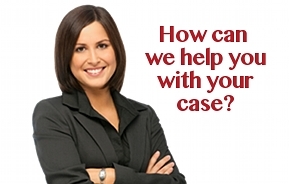 Working with a consumer protection attorney is the only way to recover your share. Consumer laws at federal and state levels exist to afford protection to consumers against many forms of fraud and unfair business practices. Gilman Law LLP’s consumer lawyers team focuses upon servicing groups, or a class action group, of injured parties who have endured monetary and/or psychological loss due to violations of consumer law by a third party. Specifically these areas of consumer law include, but are not limited to; consumer fraud, consumer privacy, product liability, privacy rights, product and service warranties, identity theft, deceptive business practices, predatory lending and violations of state and federal statutes relating to consumer protection. 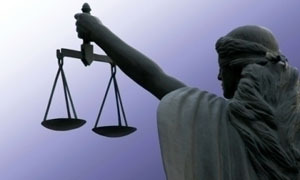 Only an experienced consumer protection attorney understands each of these areas of law. Consumer Fraud – Consumer law encompasses violation of all consumer protection statutes and includes but is not limited to: deceptive bait and switch practices, false advertising, bankruptcy fraud, franchise fraud, false billing and health care fraud. Consumer Privacy – Individuals and businesses have an expectation that their private information is not to be used for public consumption or distribution. Violations of consumer privacy are a clear violation of consumer law. Product Liability – Product liability cases include personal injury and property damage suffered from: dangerous and defective products, malfunctioning equipment, food, medical devices, and firearms. Consumer laws relating to product liability focuses on areas of the law in which a business, whether it is manufacturer, distributor, supplier or retailer, places a defective product or service into the stream of commerce for sale to the public. Product and Service Warranties – Violations of product or service warranties result when a business or entity that extends a warranty for a product or service attempts to unconsciously avoid their responsibility of replacing the product or providing a monetary refund. Identity Theft – Violations of federal and state law occur when one party uses another person’s personal identifying information such as a person’s name, credit card number, financial information or Social Security Number without permission to commit fraud or any other form of crime. Unfair Banking Practices – When a banking entity knowingly withholds or misrepresents its fees and/or policies or otherwise engages in any unfair or deceptive practices including but not limited to lending, appraisals, sales of ancillary products such as mortgage insurance or disability insurance. Deceptive Credit Practices – Involves an entity taking advantage of a consumer by knowingly misleading them to pay for services or goods that are unnecessary. Examples of potential deceptive credit practices include payday loans, automobile title loans, 125 percent loan-to-value home equity loans and any other deceptive practice which injures a consumer. 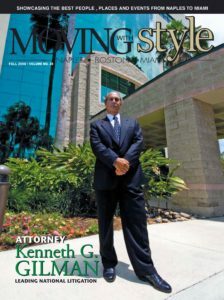 What can a consumer lawyer do for you? If you feel you have been the victim of a violation of consumer law, would like to join or create a class action, please fill out our online form to have your claim reviewed by a consumer protection attorney, or CALL TOLL FREE (1-888-252-0048) today.